When I researched information on acing an interview I came across the usual suggestions: research the company, talk about your strengths and give weaknesses that will be considered strengths. I think we all know that dressing for success is important too but what I was really looking for is exceptional interviewing advice. So what are the keys to acing an interview in your 20s when you have minimal job experience? Win it with your personality. The thing 20-somethings fear most in an interview is not having enough experience which is why we might pass up a chance to apply to job. My mom often told me that employers often look for great “soft skills”, such as how well you interact with others, verses “hard skills”, such as technical skills. Why is that? Employers know that it’s easier to train someone on a new program over teaching them behaviour skills. Behavioural skills are how we interact with others which are important in a team setting. Behavioural skills are developed over a lifetime and are harder to change as we get older. 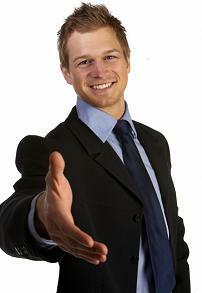 Even if you are likely to work alone in a sales position you still have to sell to someone. A successful sales person knows that it’s all about building relationships with others. For example, I was hesitant to apply for an internal position within my department because I had zero experience in working with a specific program. I was encouraged by others in my department to apply to it anyway. I ended up landing the position even though I never worked with the program. Why? I was told that I had the willingness to learn. I also interacted well with others in the group which was very important. The fact that I wasn’t familiar with the program was a minor detail. Another key point to acing an interview is all in your attitude. It’s natural to feel nervous before and during an interview but it’s important to remember that you are here because the company believes that you could be a potential employee. One time I was so enthusiastic about a position, I wanted to share with the interviewer how excited I was to apply for the job. Although I wasn’t looking for a job at the time I remember waking up in the middle of the night and seeing a career alert (i.e. a job notification) about a position on my blackberry. I was so excited about this position that I couldn’t fall back asleep so I went to my computer and started revising my resume. I could have submitted it right then and there but I decided to go back to sleep and take a look at it again in morning with fresh eyes. I think the interviewer really appreciated that. Finally, I always go into an interview and try to build a relationship with the interviewer because you never know when you’ll meet them again. I have been on interviews where I felt after it was done I wasn’t the best candidate for the position or after finding more information on the position I wasn’t interest anymore. Acing an interview doesn't always mean getting the job. I never see an interview as a waste of time but rather always an opportunity. What I might do is ask more questions about the company. I may really want to work for the company so I will make it known. If I really hit it off with the interviewer I may say if this position doesn’t workout for me I would love if you kept me in mind for future positions. In many situations the interviewer may be the head of the department. If I’m interested in holding a position like that I’ll ask that person how they got to that position and what other job experiences or education they had. The truth is people like talking about themselves and it also shows your level of interest in the field. What are your suggestions to acing an interview? The next step to acing an interview Learn how to dress for success.